The “M216 Stereo” is a simpler version of the M216 Matrix. Both are stereo tube mics with large-diaphragm capsules and multiple outputs; the M216 Stereo differs primarily in that the bottom of the two capsules is fixed in Cardioid mode. The M216 Stereo, aka the M216 Stereo M-S X-Y, has twin large-diaphragm capsules stacked one atop the other. Both are the company’s model TK67, a 32mm center-terminated design modeled after Neumann’s K67 (which was a 34mm capsule). These are believed to be sourced from an overseas supplier. The top capsule is a dual-diaphragm design. Its pickup pattern can be switched among nine patterns via a control on the power supply: from Omni to Cardioid (with three intermediate steps), and from Cardioid to Figure-8 (with three intermediate steps). Note that the original M216 Matrix, by virtue of its multipattern control on both capsules, can also provide a Blumlein (crossed figure-8) pattern. Further, the Matrix model includes a Mid-Side decoder in the PSU, whereas the M216 Stereo would require an outboard decoder, or a virtual M-S matrix within the DAW. 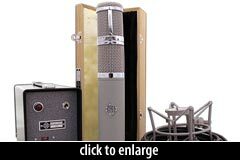 Telefunken Elektroakustic advises of another possible usage scenario: record vocals with both capsules simultaneously, using different signal chains for the two capsules to achieve different sound colors or compression ratios. 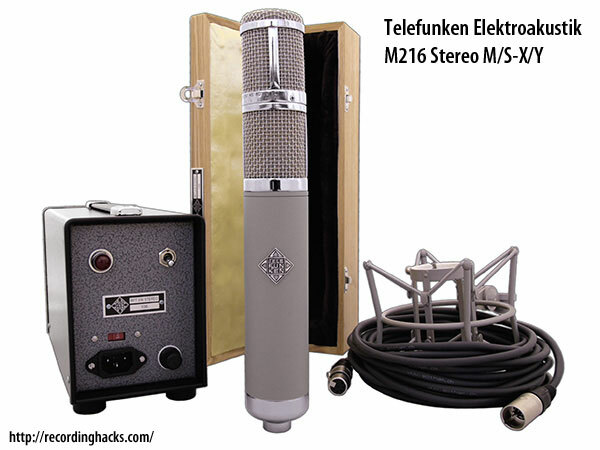 The Telefunken Elektroakustik R-F-T M216 Stereo is also known as: M216 Stereo M-S X-Y.